I am always getting excited about stuff that I write but over the last couple of weeks I was really taken up with this story I got to do about walking in the footsteps of Buffalo's two dead presidents, Millard Fillmore and Grover Cleveland. 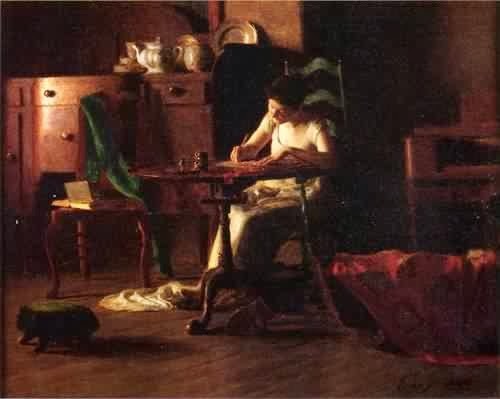 Above is a painting of me working on the story and neglecting the rest of my life. Remember my picture of the Cleveland statue? 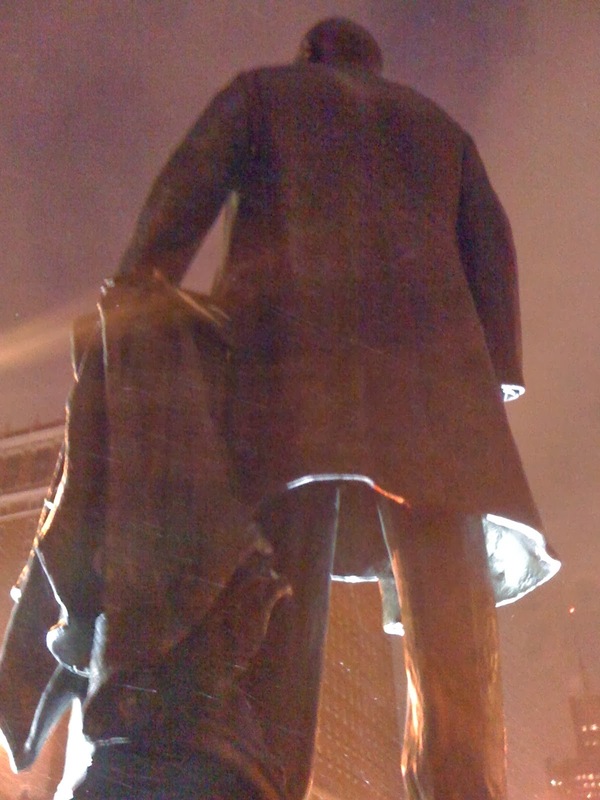 It is surely the best picture ever taken of a statue of a president. Cleveland at Buffalo City Hall in the middle of a snowy night, taken while I was slip-sliding around on that icy marble. Whoa. Whoa!!! Cleveland's last words are on the back of that statue. He said: "I have tried to hard to do right." I also like the first words he said when told he had the nomination for President. "By Jove, that's something, isn't it?" Cleveland said. It is a treat to have a president who drank beer in the very bars you and your friends drink beer in, you know? And so honest, and such a hard worker. 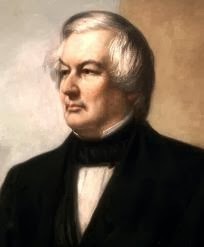 I also got to admire Millard Fillmore too although it was my friend Michelle's job, not mine, to write about him. I admire how Fillmore came up from dirt. All these years I had assumed he was blue-blooded and wealthy, with that name and those patrician good looks. Queen Victoria is said to have admired Fillmore's manners and to have pronounced him the handsomest man she had ever seen. I was shocked to find he came from this miserable poverty, that he had to steal books just to learn to read. To go from that to impressing the Queen of England with your looks and your manners! It is amazing. Apparently it used to bother Fillmore, and you can see why, when everyone was saying Lincoln was the first president born in a log cabin. "What about me?" Fillmore would say. Anyway, good man, and although he is criticized harshly in some quarters for passing the Compromise of 1850, which included the Fugitive Slave Act, he declared personally that slavery was abhorrent to him, but it was something everyone had to endure until the Constitution could be amended. Historians give him credit for keeping the Union together at a crucial juncture. I could go on! My point is, it is not as simple as seen on the History Channel. As I said to the History Museum the other day, I am available as a speaker on the subjects of Millard Fillmore and Grover Cleveland. In addition to, of course, Leonard Pennario.